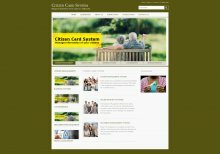 This project Citizen Card System has been developed on Java, JSP and MySQL. This project is online java project This system is to provide us the information about the citizen in any country. In this system citizen has an Id to search the personal information like name , id , address etc of citizen in each and every department wherever a citizen goes. These information can be find by the Id of the citizen. This system ca help in having all the utilities and services under an Id. This system not only help us to know the information about the services but also provide the information about the character of the citizen rating. This system can be traced using Id of that particular citizen. We can develop java software projects for students who want to java projects for learning. Here students can java free projects for final year students with source code and database. The project Visa Processing System has been developed on Java, JSP and MySQL. We will provide to student easy java projects with full source code and database of the project. This mini project Visa Processing System is an online application for tracking the visa transactions in a visa processing company which provide solutions to meet customer or company needs. 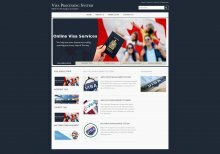 This system describes the process of applying for visa. This system is to help to make visa processing easy. It can manage visa processing process. This system is used to process their visa and store all the details regarding the passport holder. Here students can get online java projects with source code free download. The project Employee Payroll System has been developed on Java, JSP and MySQL. Employee Payroll Management System is an important activity in any organization or company. The main purpose for developing this project Employee Payroll System is to managing employee’s information of organization or company. It has to store all the records of all employee within the organization to assign work to person and right salary and perks to their eligible employees. It can also manage employee information efficiently, define the emoluments, deductions, leave, tax etc, generate pay-slip, generate and manage the payroll processes according to the salary structure assigned to the employee, etc. It keeps a track of the employees attendance and on that basis it generate the monthly salary. The Project Multi Vendor Market Place has been developed on Java, JSP and MySQL and its a java programming projects for students. The main aim for developing this project where customer can purchase and order products online. The system is very useful for customer can easily buy any products. 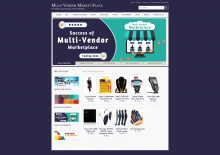 In this project admin can manage vendors, products, payments, customer order etc. This project provides a lot of features to manage the products in very well manner. This project contains a lot of advance modules which makes the back end system very powerful. This is easy java projects which student can easily configure it and learn a lot from these. We will provide full java projects with source code and database. The Project Online Grocery Ordering System has been developed on Java, JSP and MySQL. The main aim for developing this project where customer can purchase and order groceries online. The system is very useful for customer can easily buy the grocery products from home through internet. The system reduces lot of work load for customer as well as owner. 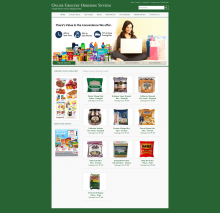 By this system online grocery shopping the product is directly delivered to customer address. This project Hotel Booking System has been developed on Java, Jsp and MySQL. The main aim of the java software projects is to develop web application in college submission. easy java projects are available in our website Freeprojectz.com. The main objective for developing this project is to manage all the information of in hotel like booking date, check in, Room check out bills, Customer personal details etc. This system can also manage the room services of the hotel. This project Hotel Booking System can maintain all the record of the number of rooms needed and the number of people who will stay in the hotel. This project provides a lot of features to manage all the data in very well manner. This project contains a lot of advance modules which makes the back end system very powerful. Students can download a best collection of online java projects. Student can also download easy java projects documentation and synopsis. This project Online Food Ordering System has been developed on Java, JSP and MySQL. We can develop best java software projects code for students who want to use java projects for learning. 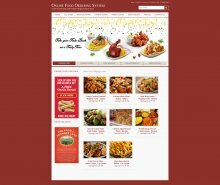 The main purpose for developing this project is to sell food online order. This project Intends different types of forms with different test of food varities provides to customer to buy online. In this project Online Food Ordering System Project in Java customers can give order from any place and pay cash on delivery. This project provides a lot of features to manage in very well manner. In current system, we have integrated a single payment system Cash on delivery but in future we will enhance it with online payment system. When an order has been confirmed by a customer order processing begins. Throughout the order processing the order status will be updated and the customer will be notified. New orders will show up in a list for the employees in the kitchen. Here students can get easy java projects with source code free download. This application has a good appearance and is very easy to operate. It is very simple and easy to access at Java. This project contains a lot of advance modules which makes the back end system very powerful. This project Student Management System has been developed on Java, JSP and MySQL. 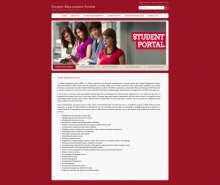 This project Student Management manages the information about the students such as Student, Fees, Attendance, Class, Subject, Student Profile etc. It can also manage to keep all the record of student performance and progress. It is very simple code in Java. 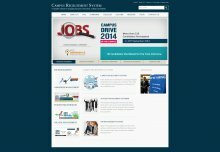 This project Campus Recruitment System has been developed on Java, JSP and MySQL database. Our website Freeprojectz.com contains easy java projects including fully working java projects with source code and database. The main objective for developing this Campus Recruitment System Project in Java is to work at college or university. The College or University allowed to company for register in this system and help to get student easily as per their qualification and requirements. This project manage all the details of for college students, various companies visiting the campus for recruitment and even the college placement officer. The system can help to allow the students easily create their profiles and upload all their details including their marks and qualification. In this system student can register online instead of going to placement department for registration. We are providing java software projects with source code for student purpose. We are also providing paid academic online java projects and students can choose the list of paid projects and they can easily buy java and jsp projects. This system saves time and efforts. This project provides a lot of features to manage in very well manner. This project contains a lot of advance modules which makes the back end system very powerful. 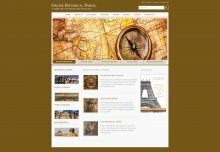 This project Online Historical Portal has been developed on Java, JSP and MySQL database. We provide fully working and error free java projects with source code. The main aim for developing this major java project is to provide all the information about historical places. This system can also help to manage all the details about historical places of world. The main objective of this project is to reach as many people as it can for providing knowledge about history of places or fort. This project provides a lot of features to manage the products in very well manner. Here student can download the best java software projects with full source code. Student gets easy java projects free download in our website Freeprojectz.com. A student can easily download these java source code projects. This project contains a lot of advance modules which makes the back end system very powerful. 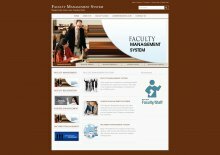 The project Faculty Management System has been developed using Java and JSP. We have used the MySQL database for storing the data of the system. Here We can develop best java software projects on latest topics for student purpose. The major project Faculty Management System is an improved system that can handle the details about a student which includes details of subjects, lectures and personal details of students etc. The Faculty Management System comes with a lot of features including managing students, managing sessions, requesting books and others. This system can also manage all the personal details of faculty employees and students. We can also provide for students easy java projects with source code and database. students can get java projects with source code free download. This project Training and Placement Management System has been developed on Java, JSP, and MySQL database. Our website Freeprojectz.com provides many types of java software projects to be developed as the final year college project for students. Students can download online java projects based on their requirements. Here students can free download java and jsp projects for final year students with source code and database The main objective of developing this project is to provide student information on the basis of “Placement Cell” being presently used in the University for storing and retrieving the information of students and companies who are registered in placement cell. This project also provides the details of its students in a database for the companies to their process of recruitment provided with a proper login. This system can stores all the personal information of the students, like their personal details, their CGPA marks, their skill set and their technical skills that are required in the CV to be sent to a company. This system is maintaining student’s information, the system helps to have selections to be made easy for a company in its test for the recruitment process. The students can update their own information only. 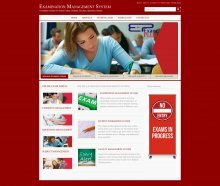 This system is very useful for students who can easily search for the material required for the selection process such as aptitude, reasoning…etc and various websites for placement papers. Student can find all the easy java projects with source code and full documentations. Student can download free java projects with source code academic college projects with documentation. This major project Leave Management System has been developed on Java, JSP and MySQL database. We provide full java programming projects for students. 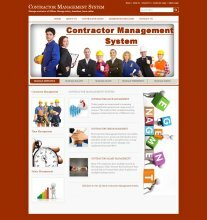 The main aim for developing this project is to manage employee absence and calculate leave accruals. This Leave Management System Project in Java will track the no of leaves taken by the employees of company. This system tracks leaves and the leave balance automatically updated. Student can customize this project according to requirement or company policy. 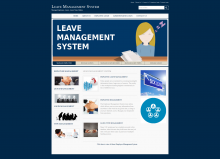 This system automated leave management software is very easy to use and it will save your time and it will increase the efficiency. This system have many good features like notification of email, leave cancellation, automated leave approval and report generation based on the requested data by the user. Here student can download the best java source code projects. Student gets complete online java projects free download. A student can easily download these java software projects. This project Online Job Portal has been developed on Java, JSP and MySQL. easy java projects are available in our website Freeprojectz.com. Here we are providing the best java and jsp projects free download with source code and executable file. The main objective for developing this project is to provide a online job search portal for employees about opportunities in different companies. It can help for manage Job vacancies, Job details, Bio data, Interview, Call later etc. Jobseeker need to submit resumes through there account. All uploaded resumes are visible to other users and visitors who provide job opportunities. This project is an attempt to minimize the problems of jobseekers to find a correct job. 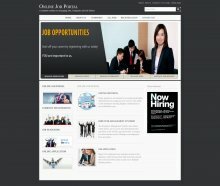 If this system can make it an online computerized and a mobile alert process it will be so fast and convenient for the jobseeker. This system is doing work same as that of naukri.com web site with similar features. This project provides a lot of features to manage all the data in very well manner. We can develop java software projects for students who want to java projects for learning This project contains a lot of advance modules which makes the back end system very powerful. 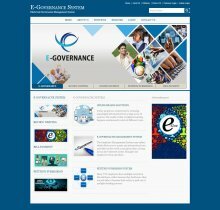 This project E-Governance System has been developed in Java, JSP and database is MySQL which runs over the Apache Server. 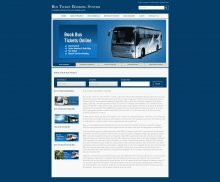 This project Car Rental System is a web-based online application of information and communication technology for delivering government services, exchange of information, communication transactions, online bill payment, review writing etc. This project provides a lot of features to manage in very well manner. This project contains a lot of advance modules which makes the back end system very powerful. We have developed many modules for this project such as medicine management, stock management, inventory management etc.